L-R: Graham Hall - Investment Manage at Maven Capital Partners, Jonathan Lowe - Investment Director at Maven Capital Partners, Richard Altoft - Investment Director at Maven Capital Partners. 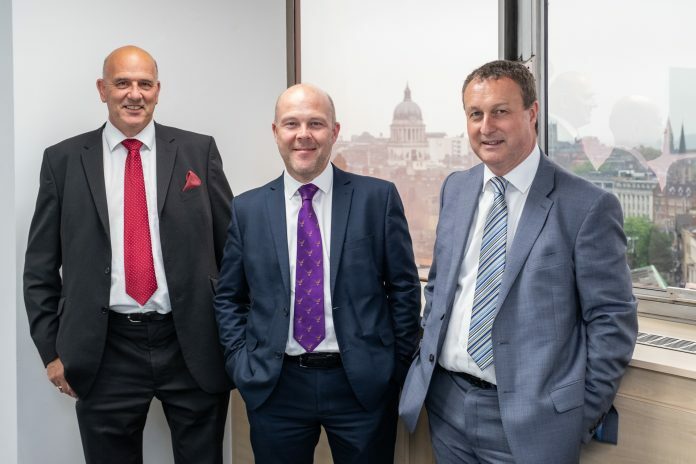 The Midlands Engine Investment Fund (MEIF) has provided two debt packages, committing a total of £410,000 to support local Nottinghamshire businesses. The £200,000 loan to Optimise Accountants and the £210,000 provided to Renato Software will give the businesses’ capital to invest in and expand product lines as well as investing in several key functions in the business. Jonathan Lowe, Director at Maven said: “Maven is thrilled to be supporting two local companies to help them execute their growth plans. “Optimise is a well-regarded local professional services firm providing accountancy services, that is well placed to capitalise on the growing demand for business advice as company structures become more complicated, and which has proven that investing into marketing and staff can have a positive impact on turnover and profitability. Sajeeda Rose, Executive at D2N2 Local Enterprise Partnership, said: “I am delighted that the D2N2 backed Midlands Engine Investment Fund continues to invest and support growing firms such as Optimise Accountants and Renato Software.